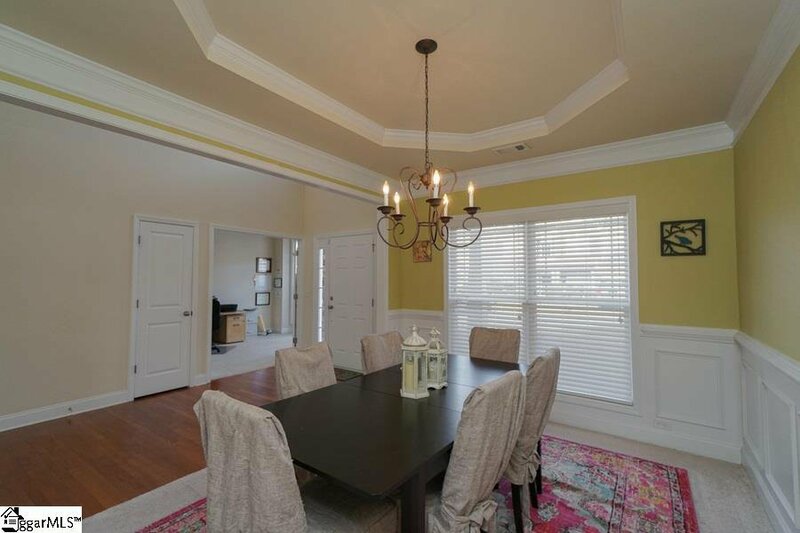 This lovely/spacious 5 BR 3.5 BA home with 2 car garage in the sought-after neighborhood of Forrester Heights has approximately 2851 SF with an open floor plan and dramatic two story foyer and family room. 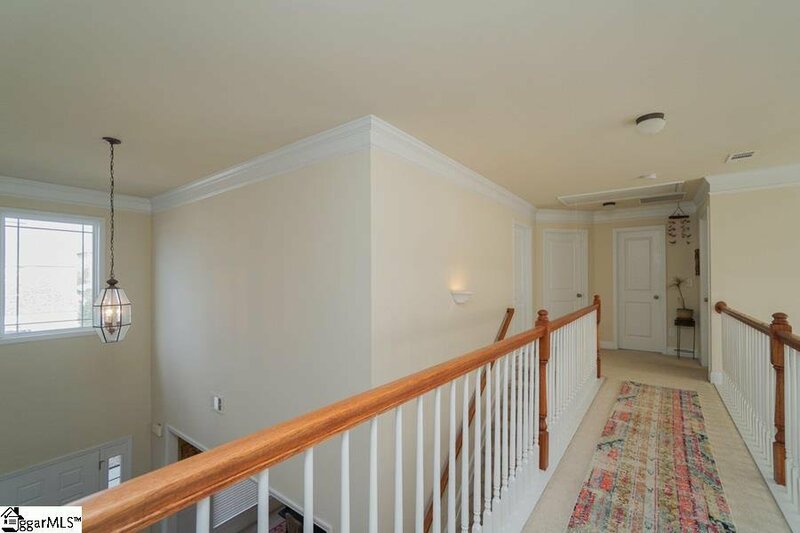 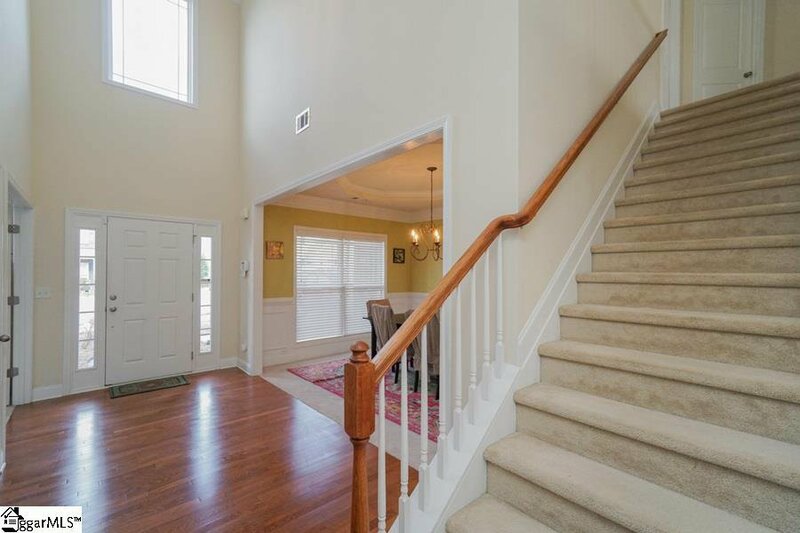 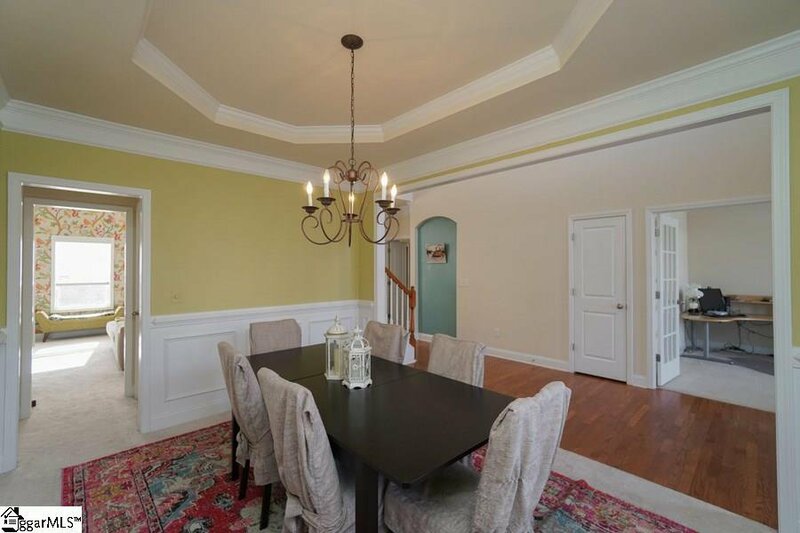 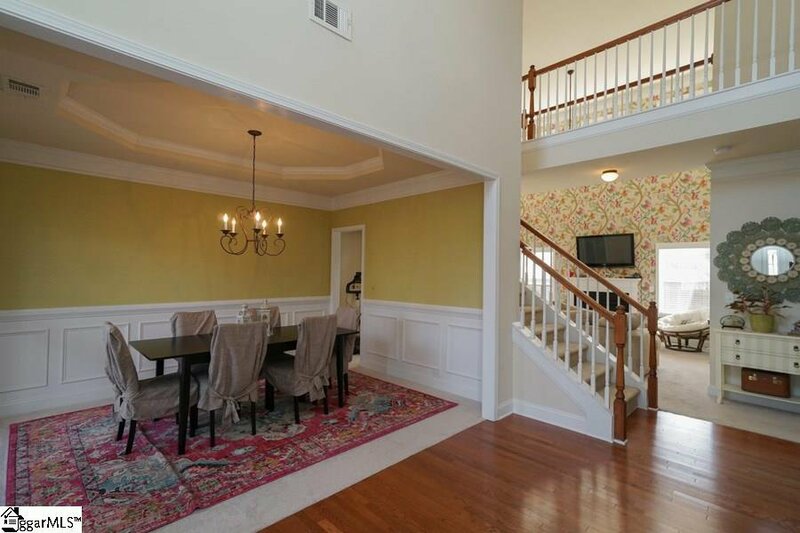 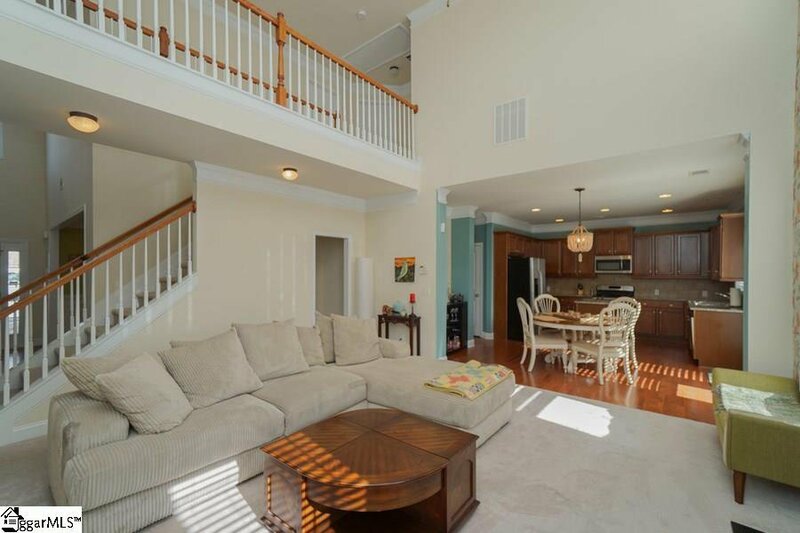 It features beautiful hardwoods in entranceway, kitchen, breakfast area, half bath, and downstairs hallway, with exquisite moldings and high ceilings throughout downstairs. 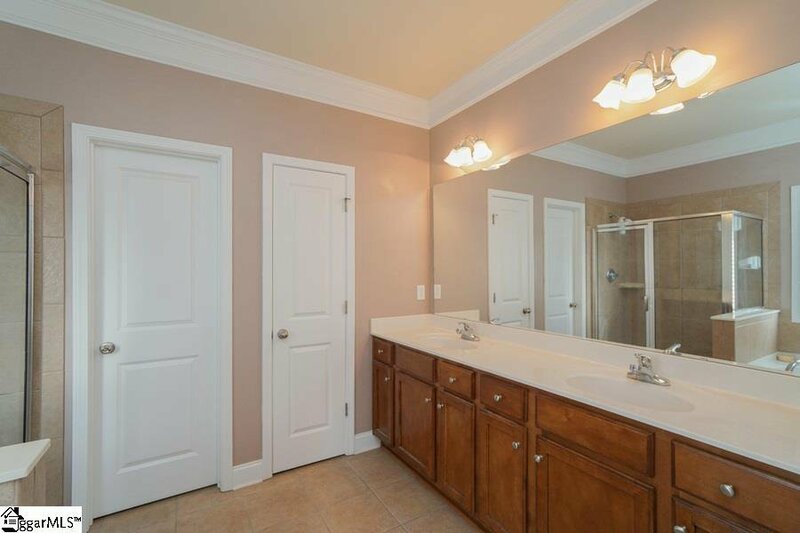 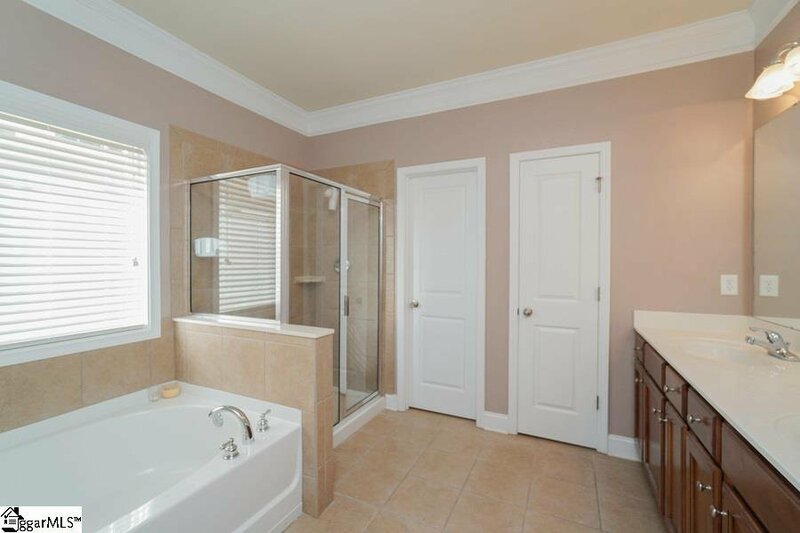 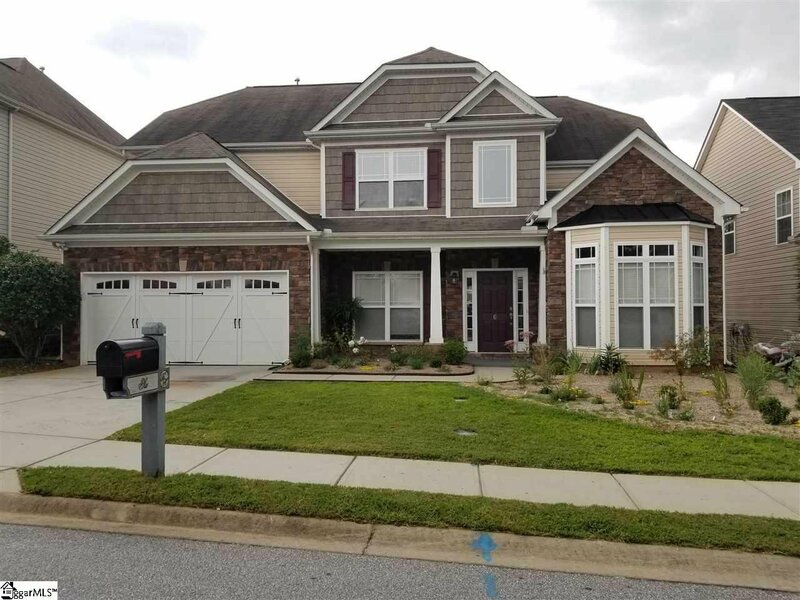 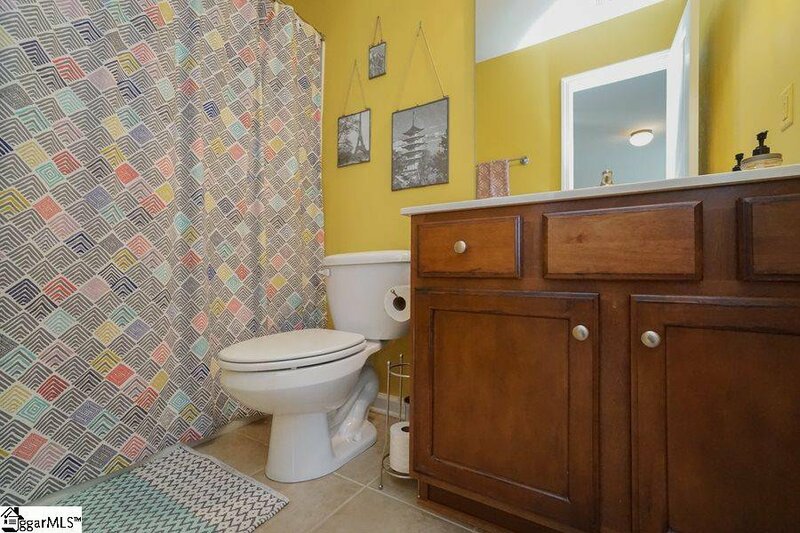 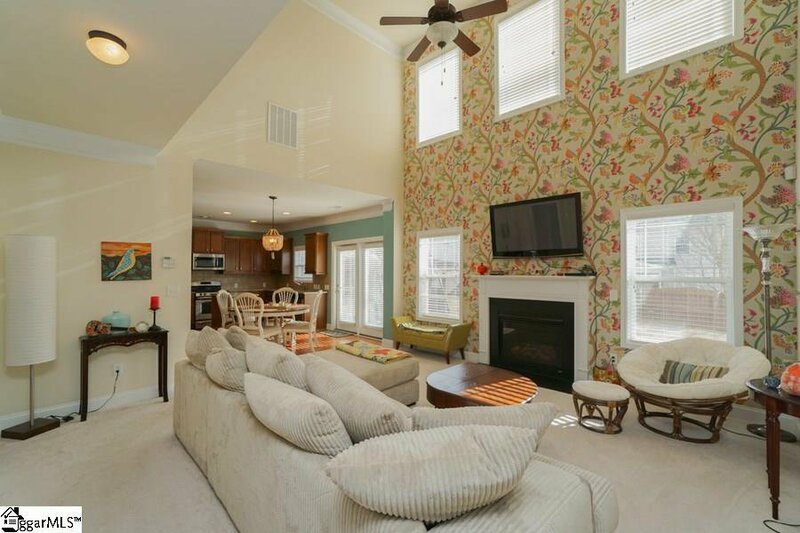 You will love all the attention to detail throughout this home, including the ceramic tile flooring in 3 full baths, spacious dining room with trey ceiling and beautiful wainscoting. 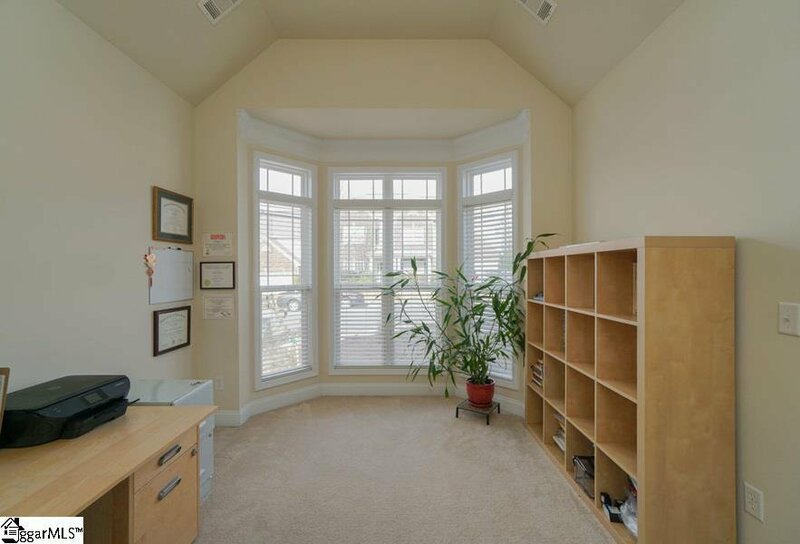 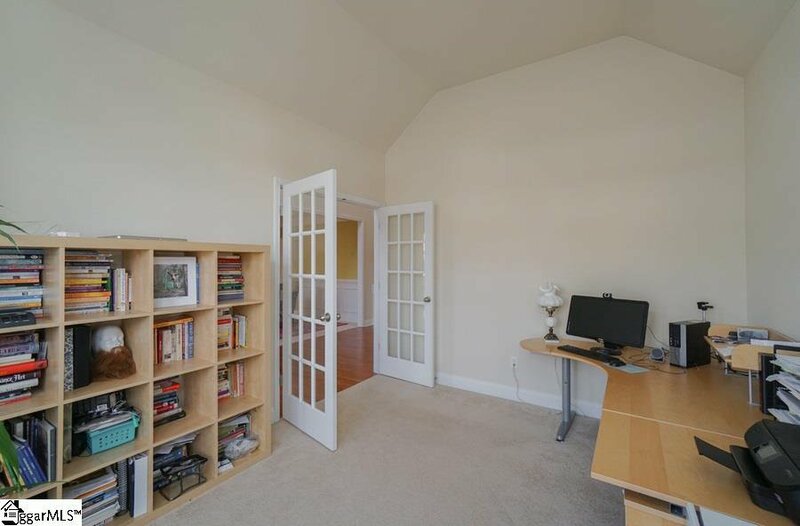 Office/living room/rec room perfect for children with glass doors is located opposite dining room. 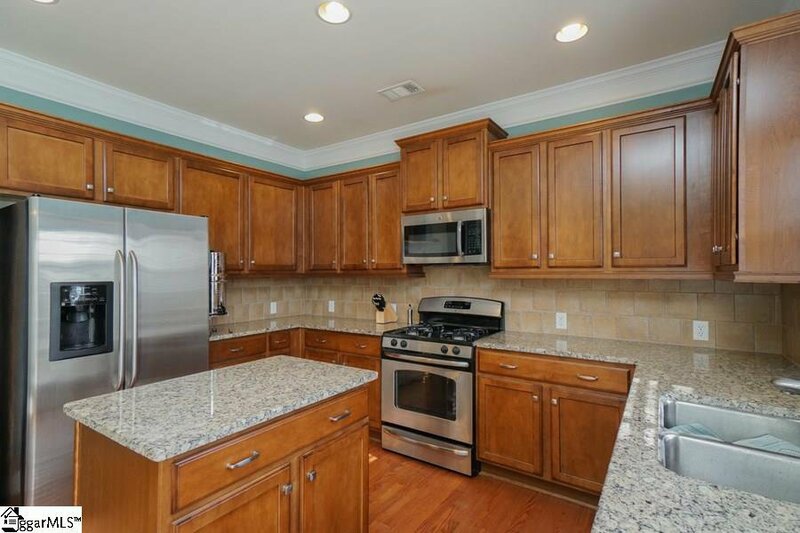 Kitchen with granite countertops/ceramic tile backsplash, custom cabinetry, island, all stainless steel appliances - refrigerator, gas stove, newer built-in microwave, dishwasher, pantry, opens to nice breakfast area and Great Room with FP with gas logs featuring convenient flip switch. 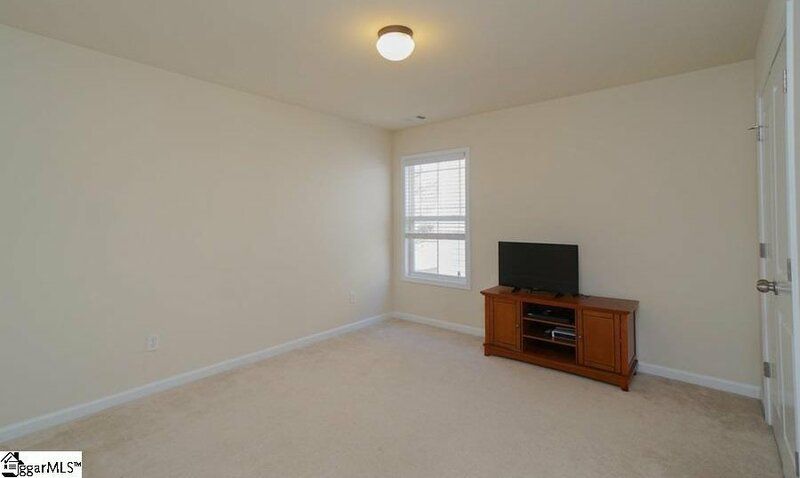 Great room also has a ceiling fan. 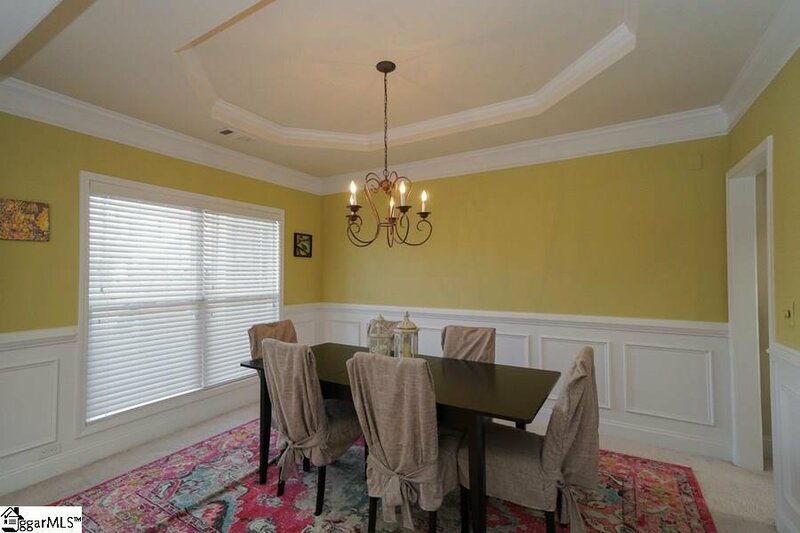 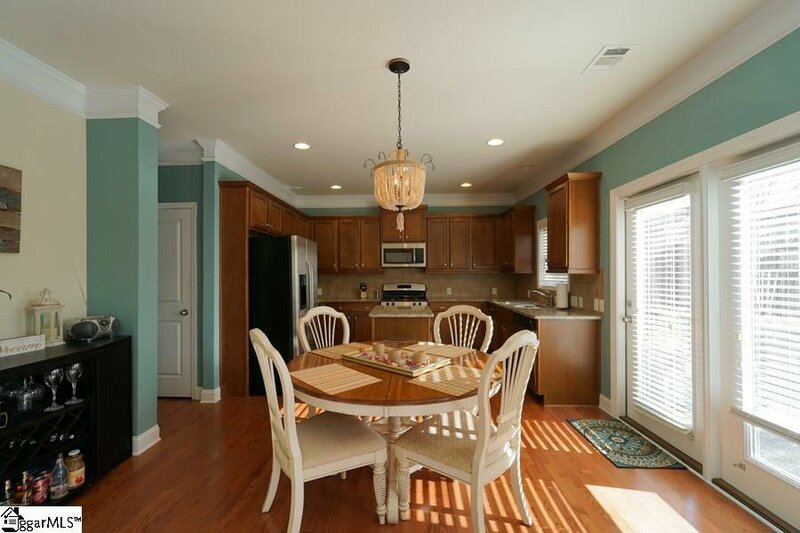 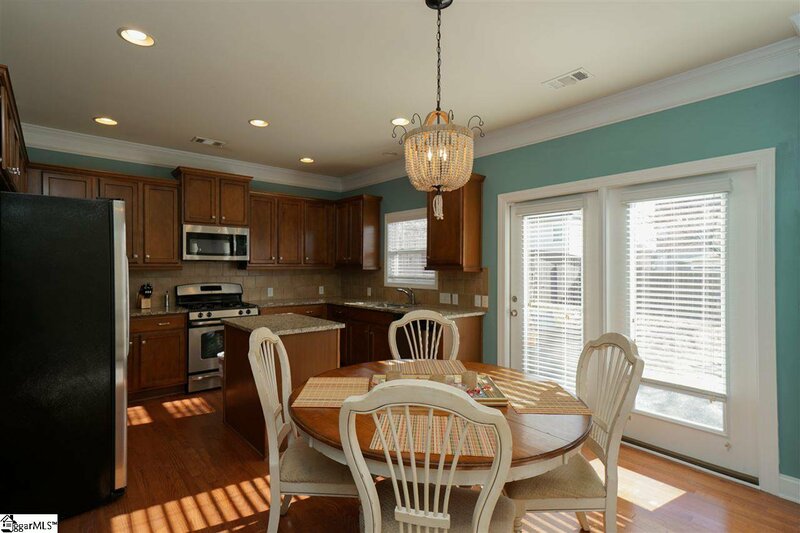 It features updated kitchen chandelier and 2” blinds throughout. 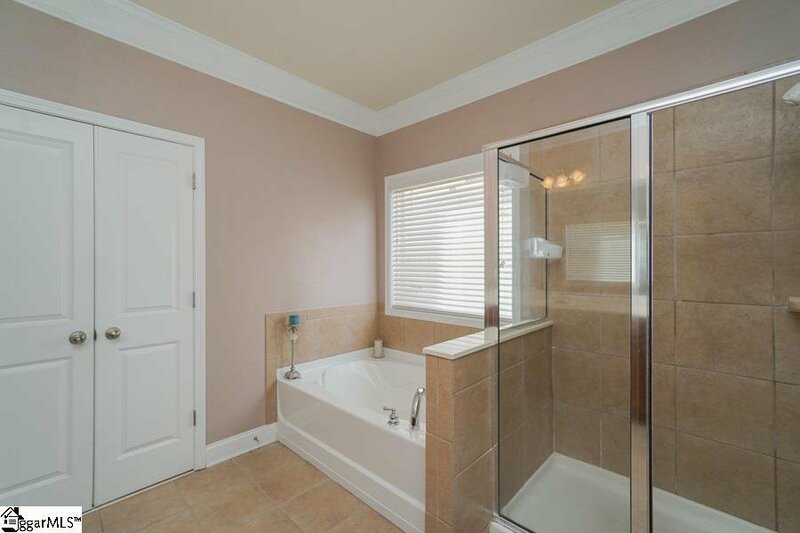 Hall bath is downstairs. 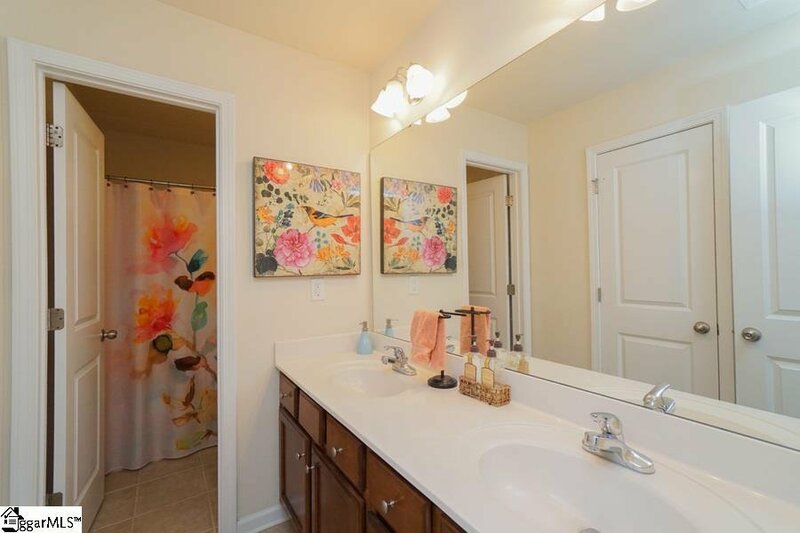 Heating system is gas with two cooling units. 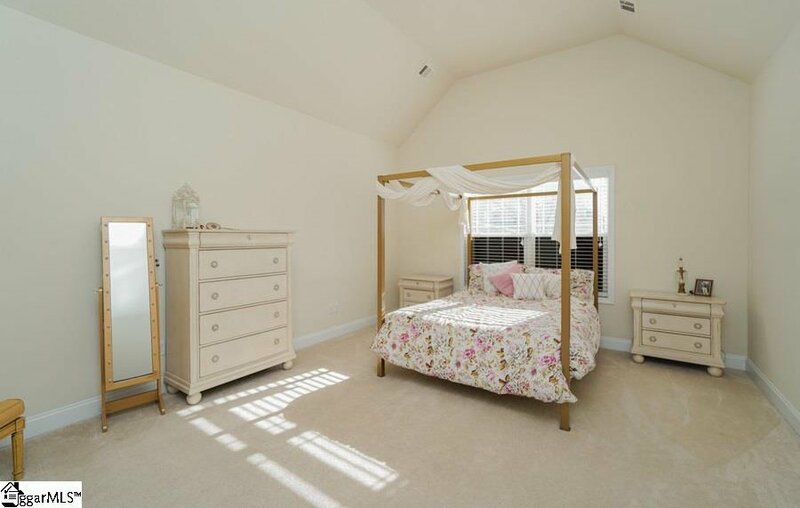 It has 4 large bedrooms upstairs one of which has a private en-suite bathroom and walk-in closet making it the perfect/private suite for guests/mother-in-law/teen. 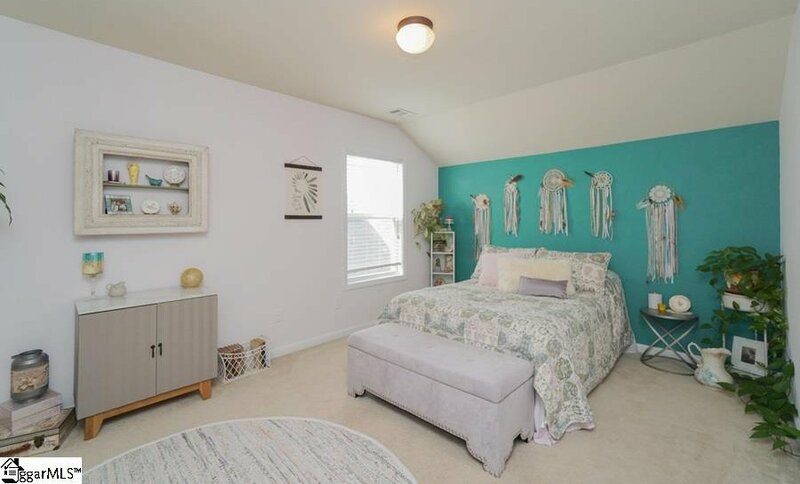 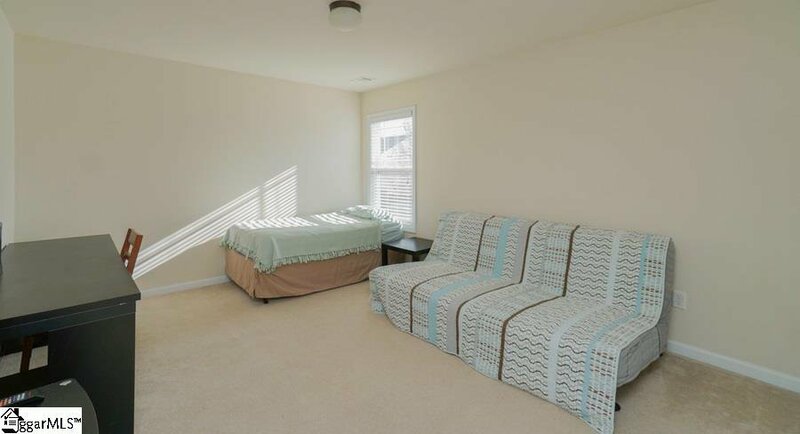 Spacious master bedroom is on main level with “his and her” closets, private bathroom with dual sinks, garden tub, and separate walk-in shower. 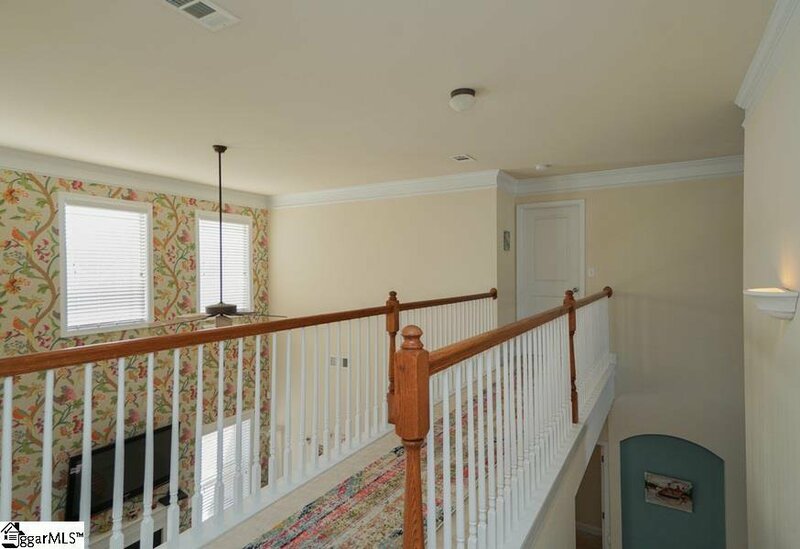 Lots of storage space including a pull-down attic and a two car garage. 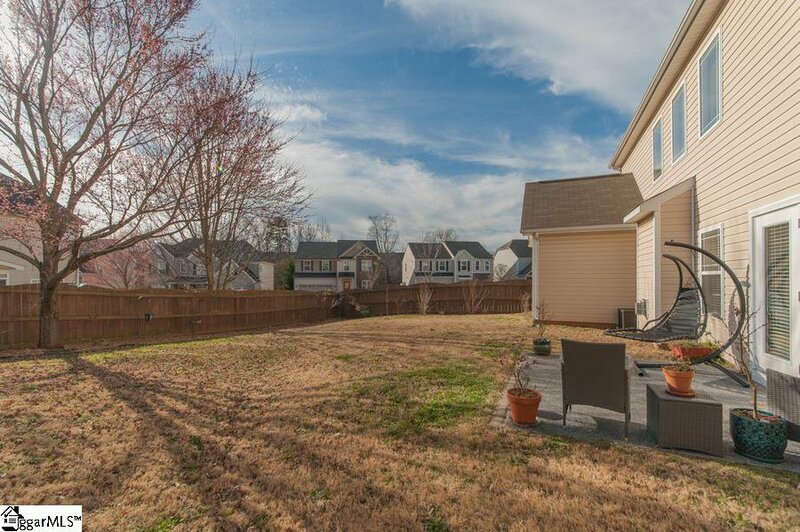 Backyard has private patio perfect for grilling out and entertaining guests this spring/summer with fully fenced backyard (wooden fence). 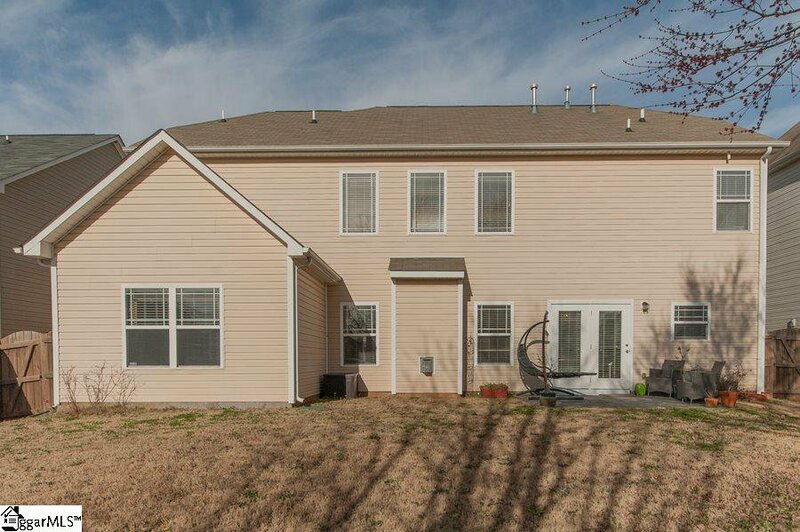 It features a in ground full sprinkler/irrigation system – front and back, owned security system, new double backdoors with energy efficient glass, designer wallpaper for accent wall in family room, new front door hardware, recently painted front porch and mailbox. 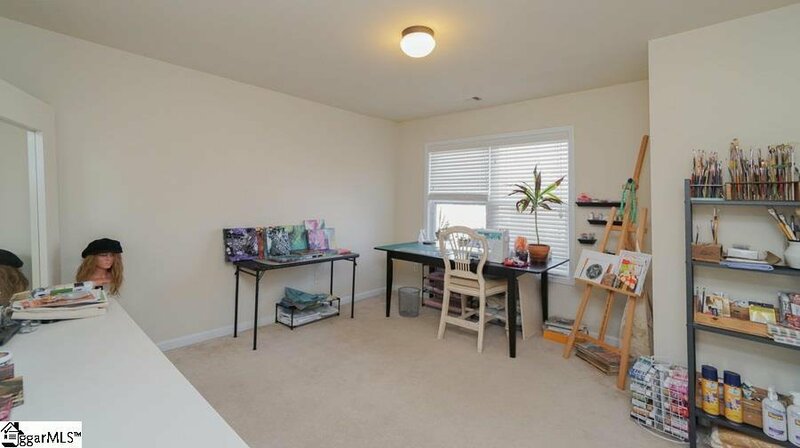 It has a walk-in laundry room with shelving. 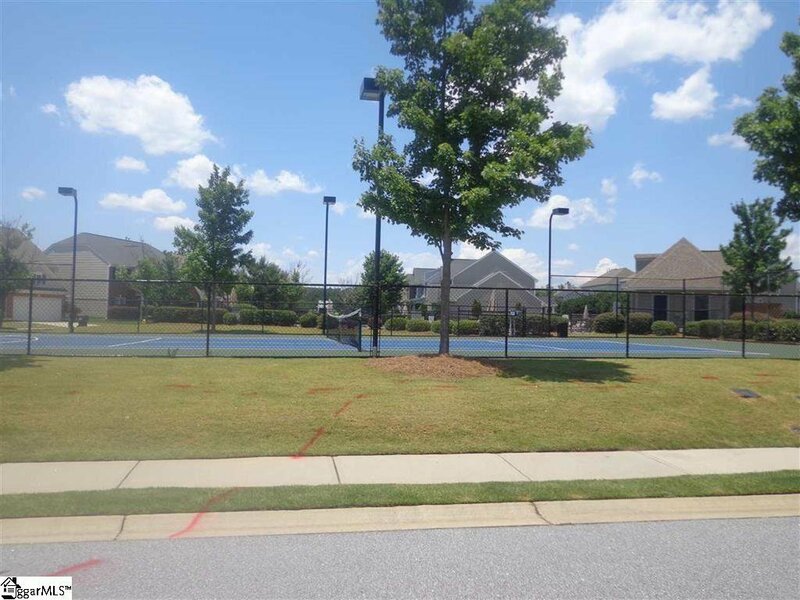 Neighborhood amenities include pool, tennis courts, basketball goal, playground, walking path around neighborhood, some sidewalks, and street lights.This home is located one short walking block from pool, tennis courts, and club house. 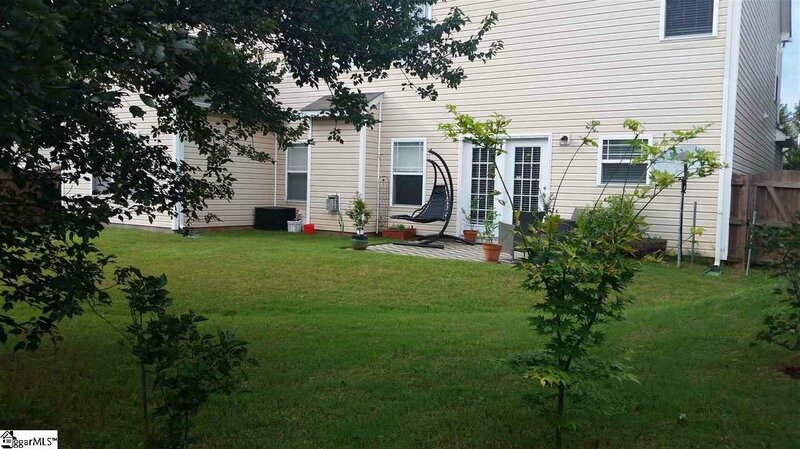 Mulch was added just prior to listing the property. 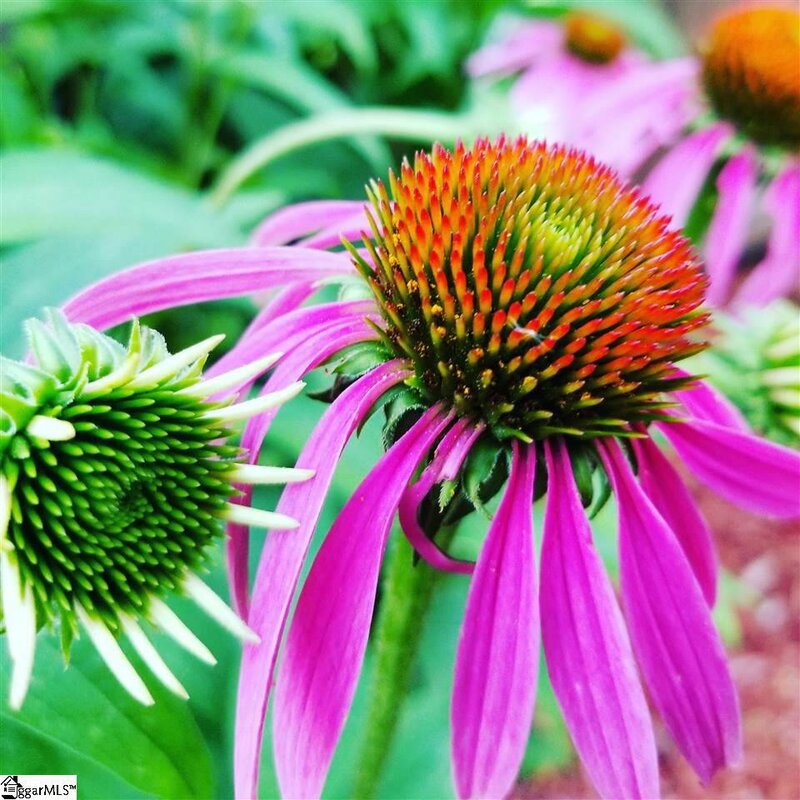 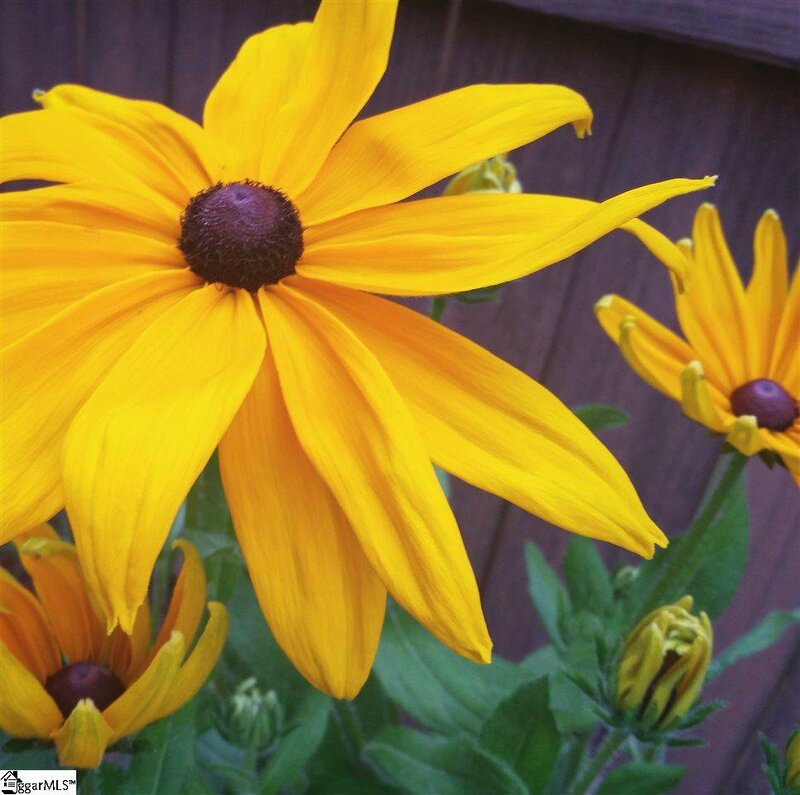 Seller has planted flower gardens with native plants/flowers, organic Elberta peach tree that bears fruit, and property is certified as a Monarch Waystation by Monarch Watch. 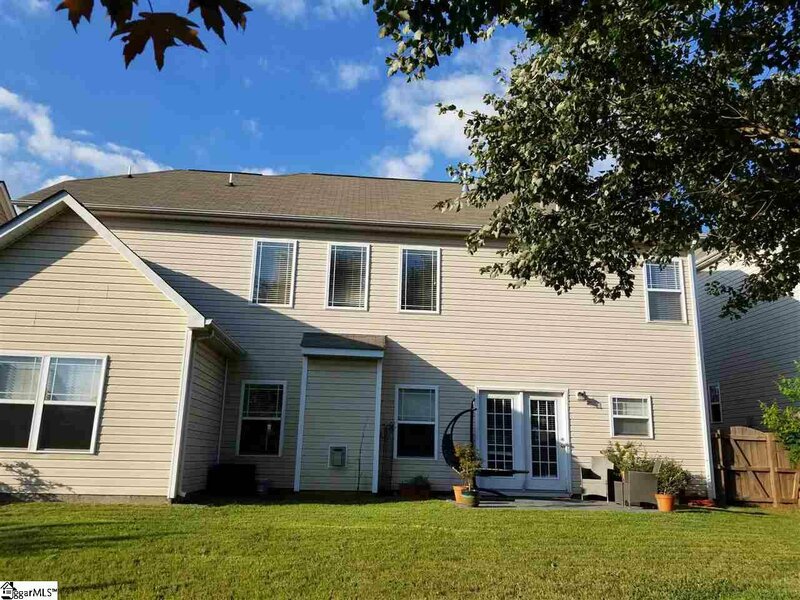 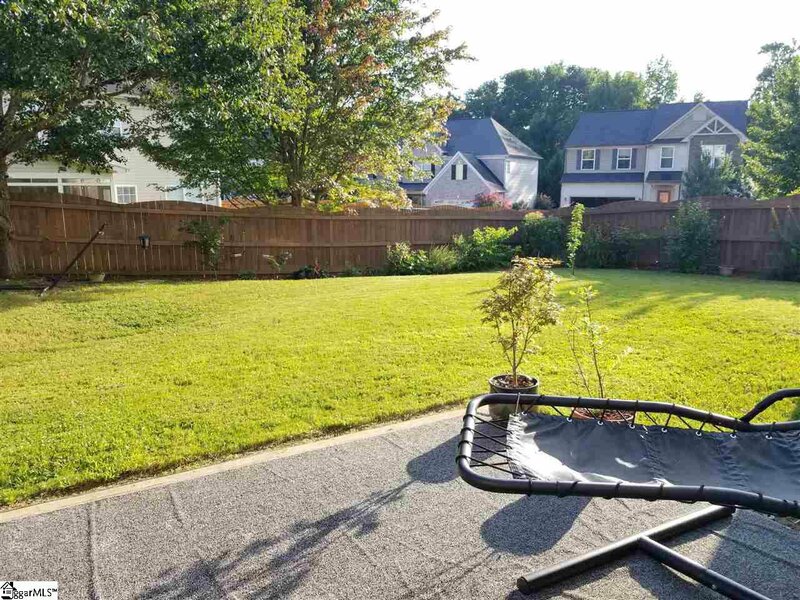 This property has also been maintained by seller as a chemical-free environment thereby attracting a variety of birds, rabbits, chipmunks, butterflies, hummingbirds, etc. 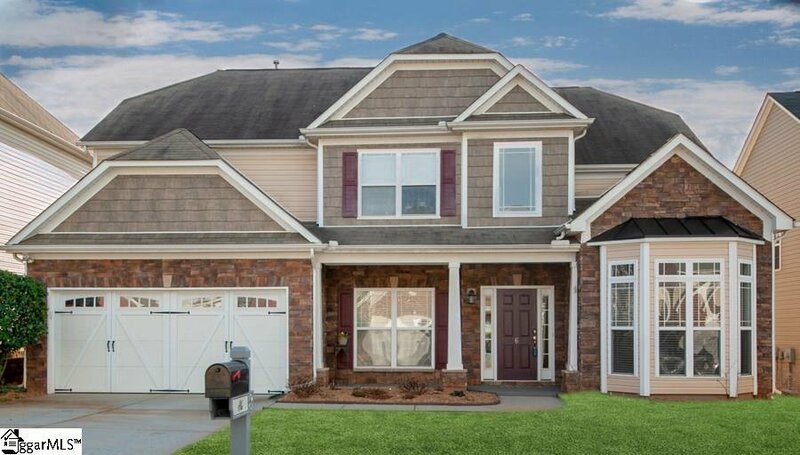 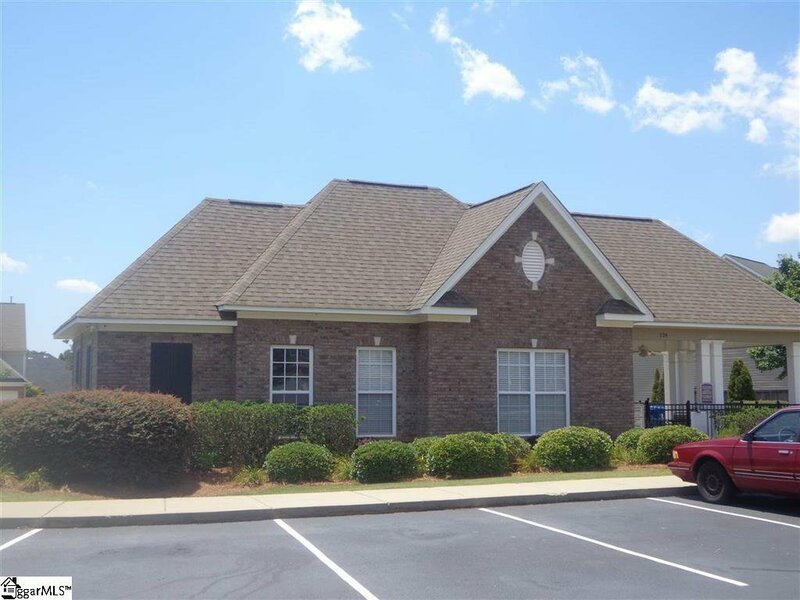 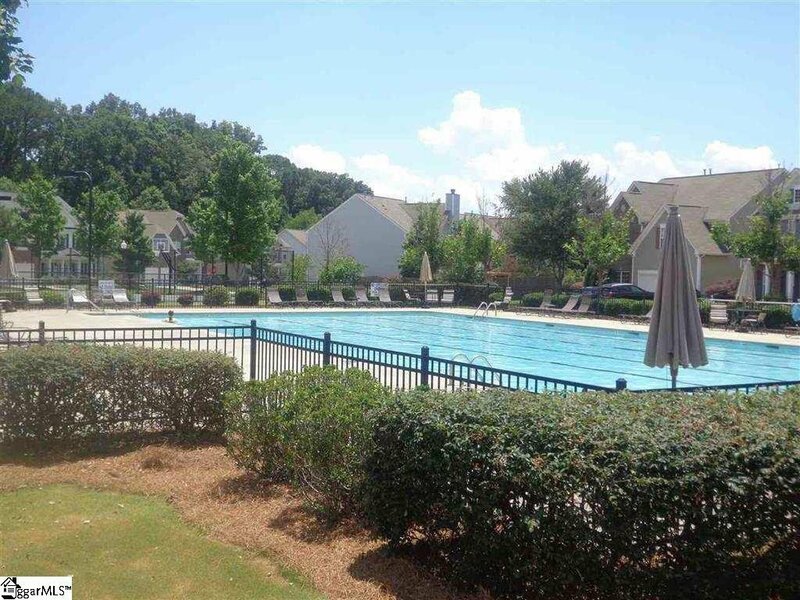 This community is located a few minutes from Shops at Greenridge, easy access to both I-385 and I-85, wonderful restaurants, and a short drive to downtown Greenville.